Published on March 20, 2019 at 10:00 pm . WINNIPEG, March 21, 2019 — It’s the final day to get in on the St. Boniface Hospital’s Mega Million Choices Lottery: Over 3,600 prizes to win, and it’s your best chance to become Manitoba’s next millionaire. Retire early. Live a debt-free life. Travel the world or treat your family. Whatever you want to do, you can do it when you win the big one! Which Grand Prize will you choose? The Foxridge home in Bridgwater Trails? A Hearth Home in Taylor Farm (Headingley) or a Hearth home in Sage Creek (Winnipeg)? Two Signature Homes in Bridgwater Trails? Or how about your very own lakeside home in BC’s Okanagan, in Kelowna’s West Harbour? Or a Signature Home in Winnipeg and an Osoyoos, BC home at Watermark Beach Resort? Or of course, there’s everyone’s favourite prize… $1.1 MILLION CASH. Spend it, save it, invest it, share it, or treat the whole family to instant riches. Remember… all of this year’s prizes have a cash option! 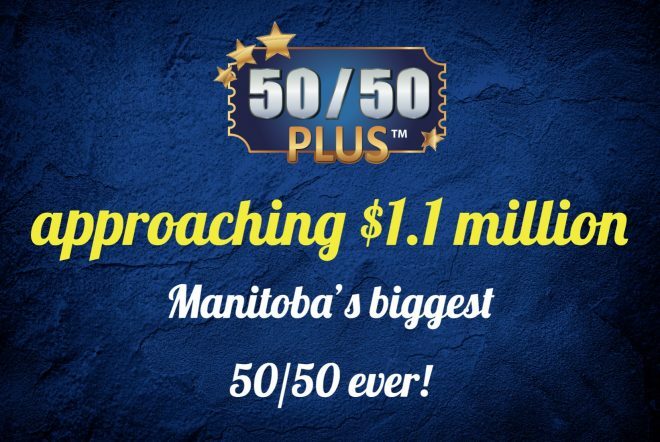 Get your 50/50 PLUS tickets – it’s now over $1 million and getting bigger and bigger; it could be Manitoba’s biggest 50/50 ever! And get your Big Score PLUS tickets – 70 more winners with even more cash. Win Winnipeg Jets tickets and road game travel packages, and even tickets to the Stanley Cup Final! Your purchase of a Mega Million Choices Lottery ticket helps save lives at St. Boniface Hospital. With your help, the hospital is able to provide the highest quality of care during the toughest of times. You are helping hospital patients from labour and delivery to palliative care. You are investing in better care, vital research, and life-saving medical equipment. You’re helping patients like you, your loved ones, your friends and your family. Your ticket purchases matter. You make the difference at St. Boniface Hospital. Say ‘Yes’ to supporting a great cause with your Mega Million Choices Lottery tickets. Tickets are 1 for $100, 2 for $175, 4 for $300, and 8 for $500. 50/50 PLUS and Big Score PLUS tickets start at 2 for $20, and must be purchased with your Mega Million Choices Lottery tickets. Published on March 18, 2019 at 10:00 pm . WINNIPEG, March 19, 2019 — The countdown is on! The Absolute Final Deadline for this year’s St. Boniface Mega Million Choices Lottery is just 2 days away… order now to beat the clock and enter to win a $1.5 million Grand Prize Draw. And get your 50/50 PLUS tickets to win half of our record-breaking jackpot – it’s like a second Grand Prize! Homes, Cars, Vacations, Furniture, Gift Cards, Cash… and more Cash. 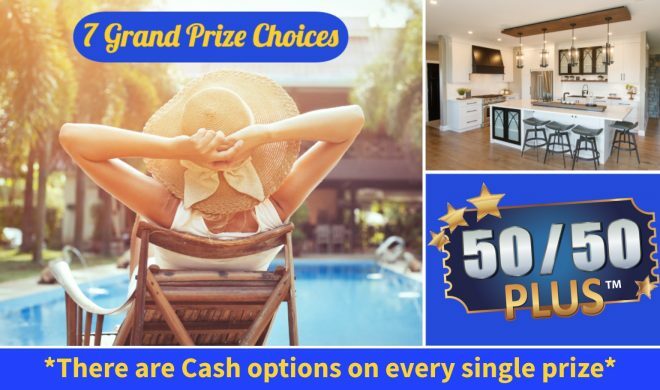 There are over 3,600 prizes to win – plus the 50/50 and the Big Score PLUS. 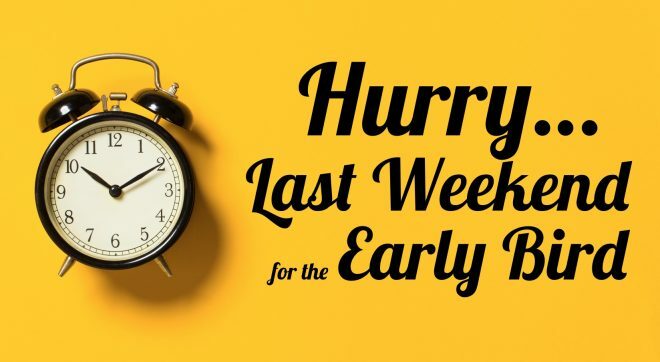 Get in today, before it’s too late! You can become Manitoba’s newest Millionaire, with enough cash to start planning and living your dreams. What will you choose? And what will you do with your winnings? Win what you want. Win what you need. Win this year’s Grand Prize Draw and choose $1.1 Million tax-free Cash! Published on March 14, 2019 at 10:00 pm . 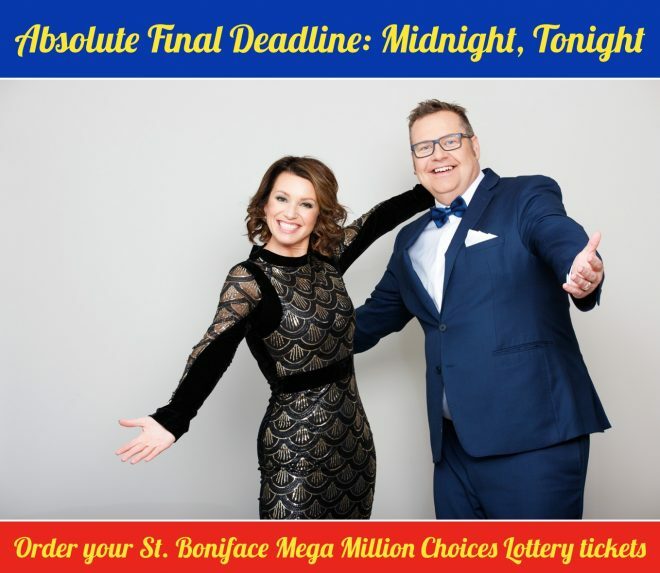 WINNIPEG, March 15, 2019 — It’s the final week in the St. Boniface Hospital Foundation’s Mega Million Choices Lottery… your last chance to get your tickets and win $1.1 million cash, and your last chance to support a great cause! Get yours to win big! 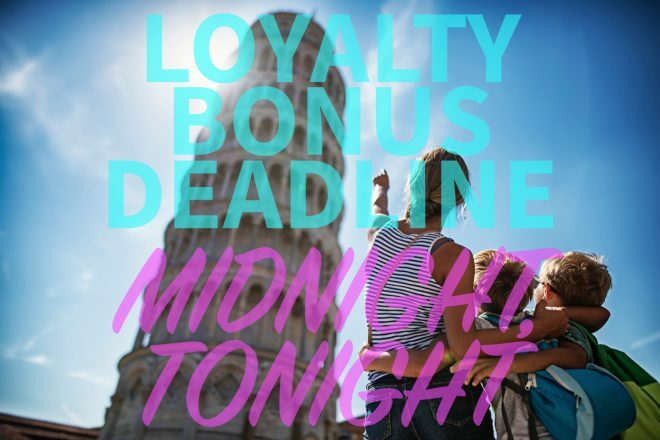 Early Bird Deadline: Midnight, Tonight! Published on March 7, 2019 at 10:00 pm . Win your choice of a Chevrolet Corvette Z06 or a Range Rover PHEV – plus, there’s $200,000 cash to win! NEW this year: 101 Early Bird winners. And more, because when you order today, you’ll be in to win a $1.5 million Grand Prize. Win travel, cars, gift cards, cash, and of course dream Homes. Over 3,700 prizes, worth over $2.3 million. And if you get your Big Score PLUS tickets, you can win cash or Winnipeg Jets tickets and Roadtrips game travel packages. 70 winners. An extra $130,000 to win. For just $20 more! Take a home package… or take $1,100,000 cash! This year’s Mega Million Choices Lottery will give its biggest winner 1 of 7 Grand Prize options, including home s in Winnipeg’s Bridgwater Trails and Sage Creek, Headingley’s Taylor Farm, and British Columbia’s Watermark Beach Resort (Osoyoos) and West Harbour (Kelowna), both in the beautiful, sunny Okanagan. With homes from Foxridge, Signature, and Hearth, St. Boniface has partnered with Manitoba’s best builders and developers to give its winners the choice of some incredible prize homes. And each Grand Prize package comes with a host of other prizes – like furniture from EQ3, cars like Jaguar, Ford, Nissan and Chevrolet trucks, plus trailers and cash amounts ranging from $75,000 to $400,000! Come to St Vital Centre (outside London Drugs) to enter to win a pair of Winnipeg Jets tickets – vs the Boston Bruin on March 14, 2019. Spin the wheel after you buy your Mega Million Choices Lottery tickets to win a $25 gift card for St Vital Centre, and other prizes. St. Boniface Early Bird Deadline only 2 days away! Published on March 5, 2019 at 10:00 pm . WINNIPEG, MB, March 1, 2019 — Win your choice of a Chevrolet Corvette Z06 or a Range Rover PHEV – and there’s $200,000 cash up for grabs, as well. Win travel, cars, gift cards, cash, and of course dream Homes. Don’t let this Early Bird fly away! Don’t forget about the Grand Prize Draw – choose $1.1 million tax-free Cash or take a package with furniture, cars and trucks, up to $400,000 cash, and dream Homes in Winnipeg, Headlingley, or BC’s sun-drenched, super-relaxing Okanagan. This year’s biggest Grand Prize package is worth over $1.5 million! And get your 50/50 PLUS tickets – the jackpot is over $800,000 and getting bigger and bigger every single day. The more you buy… the bigger it gets. And with your Big Score PLUS tickets, you could win a trip to the 2019 Stanley Cup Final, or Winnipeg Jets road trip packages, or cash! 70 winners. 30 days of winning. $130,000 in extra prizes to win. Your ticket purchases matter. You make the difference at St. Boniface Hospital. With your help, the Hospital is able to provide the highest quality of care during the toughest of times. When you say yes to St. B, you are investing in promoting women’s heart health research. When you say yes to St. B, you are helping Hospital patients from labour and delivery, to palliative care. When you say yes to St. B, you are helping purchase the latest technology and high-quality medical equipment. And, when you say yes to St. B, you are improving mental health programs and care. Published on February 28, 2019 at 10:00 pm . Or, as always, there’s the cash option and more! 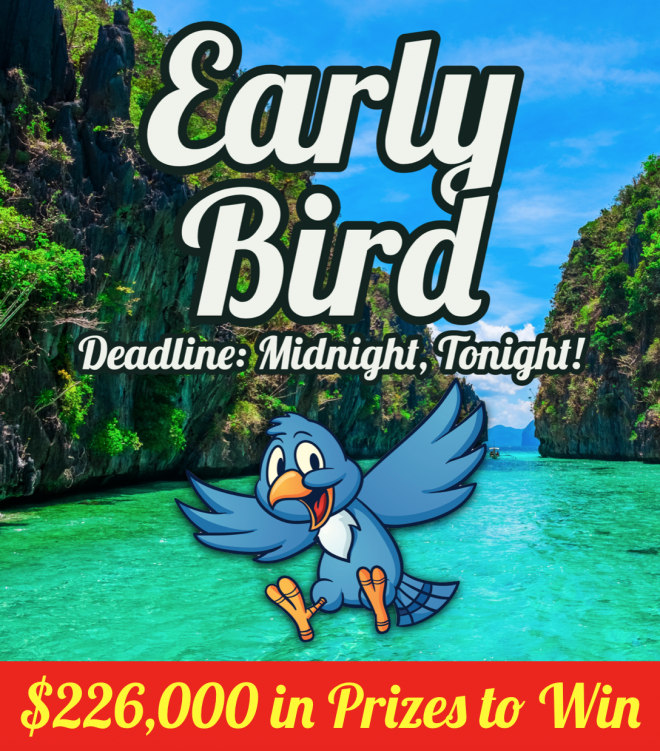 This year’s Early Bird is worth over $226,000 total, including $200,000 in cash to win. … as Manitoba’s newest Millionaire! This year’s biggest Grand Prize is worth over $1.5 million – or choose $1.1 million tax-free cash. Your dreams of a worry-free life, early retirement, world travel… they’re all just one win away. 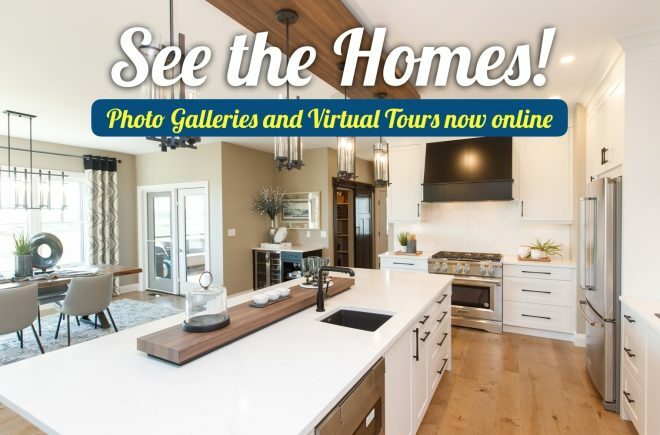 Win the Grand Prize Draw and choose 1 of 7 humongous packages – featuring homes by Foxridge, Hearth, and Signature in Winnipeg (Bridgwater Trails and Sage Creek) and Headingley (Taylor Farm), or a condo at Watermark Beach Resort in Osoyoos, BC, or a home in Kelowna’s West Harbour. Spend your days in Canada’s summer playground – the Okanagan – with premier lakeside living every morning, afternoon, evening and night. Published on February 14, 2019 at 10:00 pm . WINNIPEG, MB, February 15, 2019 — Order today to win yourself a Down Under Adventure! Take off to the other side of the world and discover Australia and New Zealand. It’s an exotic wonderland of wildlife, incredible views and sunny, sandy beaches. But that’s not all! This 15-Day Trip for 2 comes with a 2019 Nissan Qashqai and $5,000 cash. Or choose to take the ride – a 2019 Chevrolet Tahoe SUV – instead. Or take $50,000 cash and become rich in an instant! 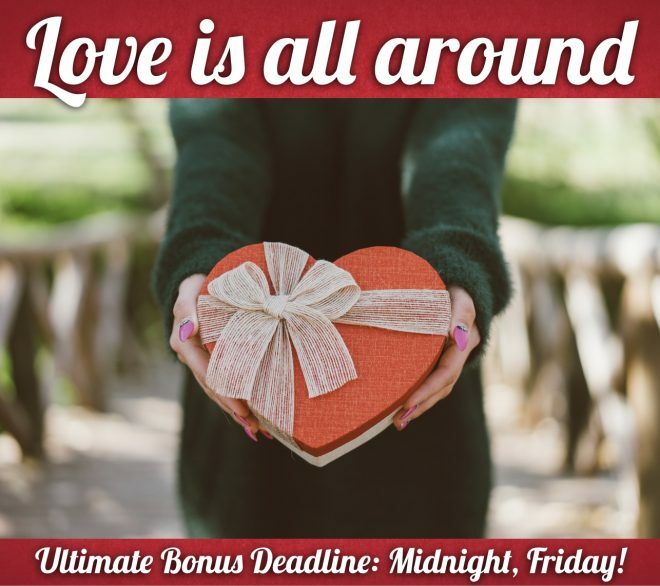 The $61,000 Ultimate Bonus Prize Deadline is Midnight, Tonight. Don’t miss out! This is the final Bonus Deadline of this year’s Mega Million Choices Lottery… so don’t miss out! 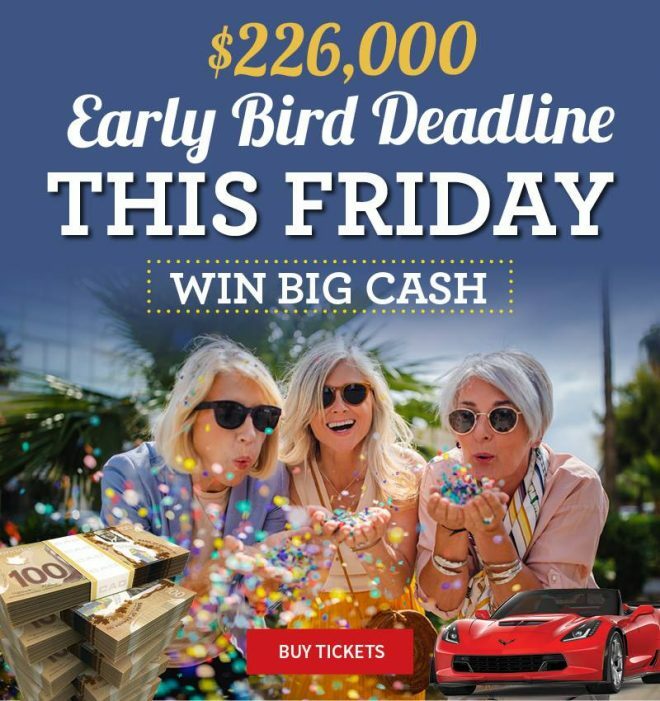 When you order before the Ultimate Bonus Deadline, you’ll be entered into over $226,000 in Early Bird Draws – new this year, 101 Early Bird winners – and the $1.5 million Grand Prize Draw! 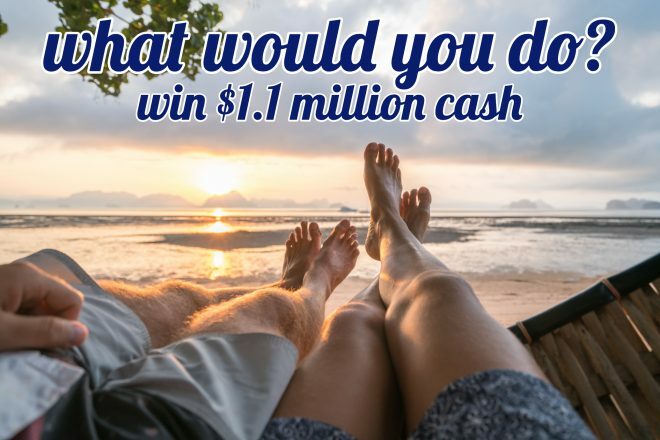 Choose a Home in Winnipeg or Headingley or BC’s Okanagan lake and wine country, or choose $1,100,000 cash and become an instant millionaire. There are over 3,700 prizes to win, worth over $2.3 million. And there’s a cash option on every single prize. Plus, don’t forget to pick up your Big Score PLUS tickets! With a max jackpot of $2 million, it could be our biggest ever, and the winner takes half! The more you buy, the bigger it gets. Published on February 12, 2019 at 10:00 pm . WINNIPEG, MB, February 13, 2019 — Give your sweetie the Ultimate Valentine’s Day gift – with a ticket to this year’s St. Boniface Mega Million Choices Lottery! Treat your loved one, your family – or hey, treat yourself! – to the biggest win of your lives. 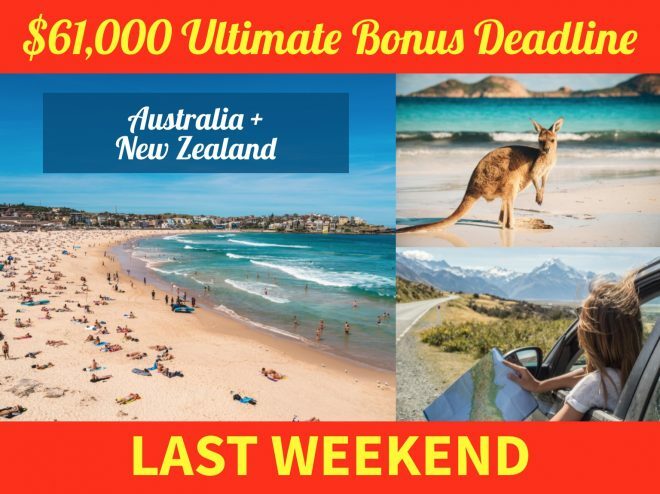 Order now and get in the $61,000 Ultimate Bonus Draw, and win your choice of an Australia + New Zealand adventure, a Nissan Qashqai, and Cash – or a 2019 Chevrolet Tahoe SUV – or $50,000 Cash! And best of all… it’s a win-win. With your tickets, not only are you also in to win 1 of 7 Grand Prizes – including $1.1 million tax-free cash – but you’ll be helping all Manitobans, and raising money that will help save lives at St. Boniface Hospital. “The lottery is a tremendous opportunity to have the entire community support St. Boniface Hospital and Research Center,” said Vince Barletta, President & CEO of St. Boniface Hospital Foundation. “St. Boniface and its leading edge patient care will be there for your family when you need it the most. For this year’s Mega Million Choices Lottery, St. Boniface Hospital Foundation worked hard to give buyers and winners more of everything – there are over 3,700 prizes to win, worth over $2.3 million. 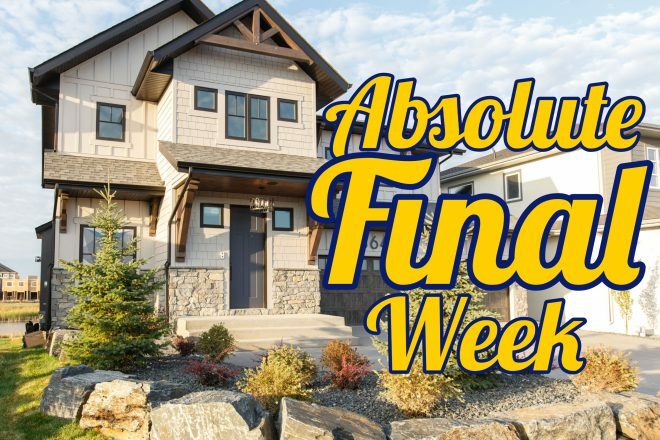 That includes a choice of 1 of 7 Grand Prizes for this year’s biggest winner, with homes in Winnipeg, Headingley, and BC’s Okanagan, or $1,100,000 cash. There are also $225,000 in Early Bird prizes, plus cars, travel, furniture, and more. And once again, every single prize has a cash option! Plus, there’s the 50/50 PLUS – which is already over $650,000 and could grow to $2 million – and the Big Score PLUS – with 70 draws and an extra $130,000 in cash to win, or Winnipeg Jets tickets and even a Trip to the 2019 Stanley Cup Final. “To me, this is really the most exciting program we’ve ever had,” said Barletta. “7 Grand Prize choices, including beautiful dream homes here, in and around Winnipeg. And of course, with cars, boats, and other toys. If none of those suits your fancy, you can always take $1.1 million cash. Tickets are 1 for $100, 2 for $175, 4 for $300, and 8 for $500. 50/50 PLUS and Big Score PLUS tickets start at 2 for $20. Published on February 7, 2019 at 10:00 pm . WINNIPEG, MB, February 8, 2019 — Whisk yourself away on the adventure of a lifetime with a Tour of Australia + New Zealand. It’s a Down Under experience you’ll never forget, with pristine sandy beaches, beautiful weather and unforgettable nature, Koala Bears and Kangaroos! And this comes with a 2019 Nissan Qashqai plus $5,000 cash – a prize package worth over $61,000. Or choose a 2019 Chevrolet Tahoe 4WD SUV, or pad your wallet with $50,000 tax-free cash. Order by Midnight, Friday – February 15 to get your tickets in the Ultimate Bonus Draw! Get your 50/50 PLUS tickets to win half a massive jackpot – already over $625,000 and it could reach $2.2 Million! The more you buy, the bigger the pot gets. And if you get your Big Score PLUS tickets, you’ll be entered into 70 daily draws to win cash, Winnipeg Jets tickets, and even tickets to the 2019 Stanley Cup Finals. An extra $130,000 in prizes to win! This year’s biggest winner will choose 1 of 7 Mega Million Grand Prize Choices, including homes in Winnipeg’s Bridgwater Trails and Sage Creek neighbourhoods, Headingley’s Taylor Farm community, and even two of the Okanagan’s brightest, dreamiest cities to leave – at Watermark Beach Resort in Osoyoos and West Harbour in Kelowna. Live where you love. Or become a millionaire instantly with $1.1 million tax-free cash! Published on January 31, 2019 at 10:00 pm . Start 2019 with the biggest win of your life… with the St. B Mega Million Choices Lottery! 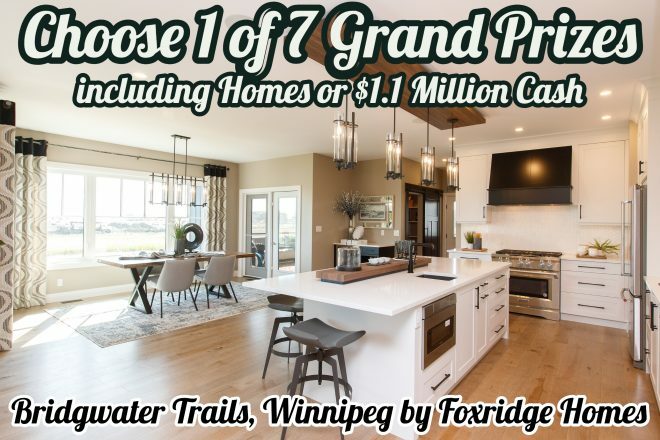 Get your tickets today and you could win 1 of 7 Grand Prizes – including a $1.5 million Winnipeg Home package in Bridgwater Trails, or $1.1 Million tax-free Cash. This is your last chance to get your tickets for all this year’s biggest draws! Or a Signature Home in Winnipeg and an Osoyoos home at Watermark Beach Resort? Spend it, save it, invest it, share it, or treat the whole family to instant riches with a cool $1,100,000! You can also get your 50/50 PLUS and Big Score PLUS tickets for even more cash and even more winning. The 50/50 PLUS jackpot could grow to $2 MILLION. And the winner takes half. The more you buy… the bigger it gets.